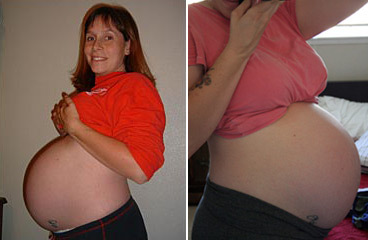 Hereâ€™s a funny one for you the first picture is me at 36 weeks with Aidan and the second is me now at 24 weeks with the twins. Kinda scary huh?!?! I still have (if Iâ€™m lucky) a good 14 weeks to go.